At some point, everyone has experienced a travel fail, whether it's a missed flight or a foreign language faux pas. 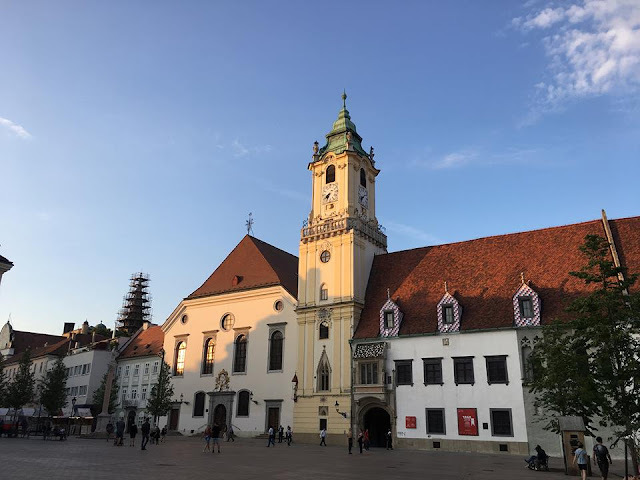 We found that we were experiencing so many fails (luckily of the minor variety) that we started to keep a note of the things we learnt from them. Here is a small selection of the cleaner stories for you, to show that travel is not all glamour and Instagram shots! The unfortunate thing about wildlife, as anyone who has tried to photograph it well knows, is that it does not work well under direction. We learnt quite quickly that parrots will happily have a row with each other whilst scrabbling all over you, and will bite your ears if they think you might be hiding something worth eating! 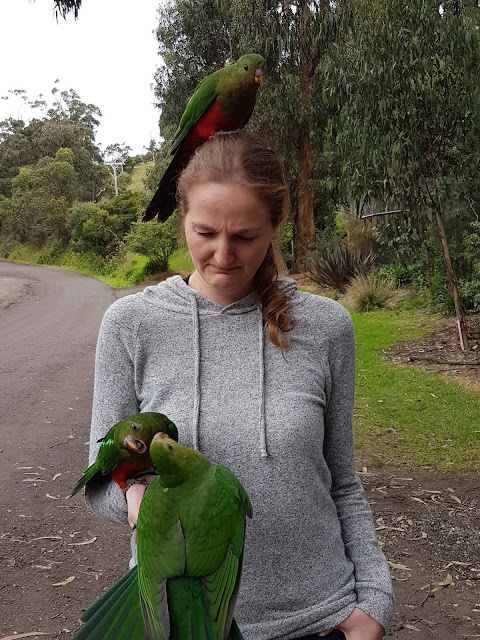 Despite taking a parrot directly to the face on more than once occasion, Kennett River was a hilarious way to spend an hour and we would definitely go back. 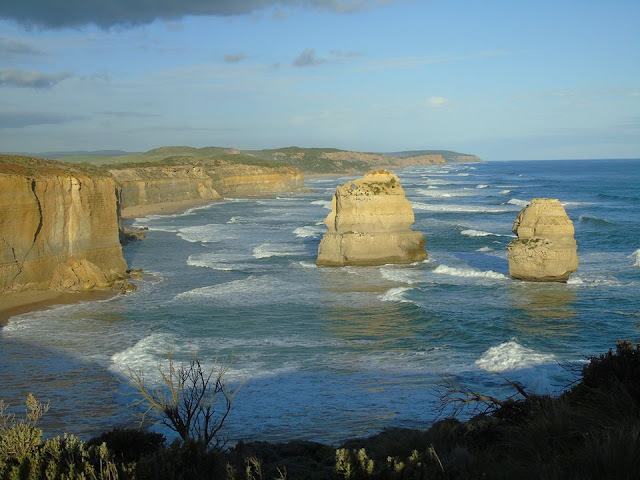 If you are considering driving the Great Ocean Road then stop at Kennett River and see if you have any better luck than us! This should have been a fool proof plan, and it would have been, had I not realised 20 minutes into the 3 hour tour that I am frightened of enclosed spaces. 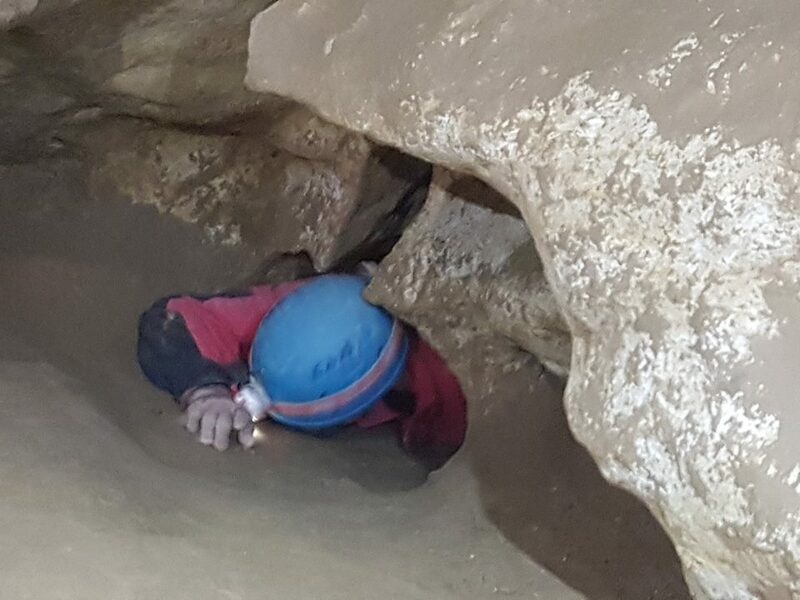 Despite being terrified, it was all going rather well until I got my arse wedged in a particularly tight gap and had to be rescued by our guide. To give credit where it is due, our guide rescued me with the minimum of fuss and took me another route. The other route turned out to be a sheer wall which meant that my Travelling Buddy had to pull me from the top whilst the guide had to push me (with a hand up my arse) until I made it. It was terribly dignified. My Travelling Buddy absolutely loved caving so, if you are less of a coward than me, you can always check out more about Adventure Caving. Every now and again we fool ourselves into thinking that we might secretly be very sporty and athletic, contrary to all available evidence. A prime example of this was our attempt at kayaking in Oslo. It went extremely well until my Travelling Buddy decided to attempt to board my kayak. In repelling his amateur attempt at piracy, I accidentally flipped him into the fjord. To add insult to injury there were no changing facilities and so my Travelling Buddy was forced to hide behind a shipping container in a car park and attempt to dry himself on the only thing we had to hand- my t shirt. 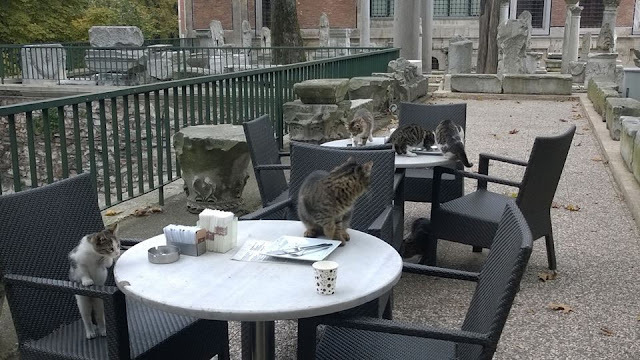 Feral cats run rife in Istanbul and they look incredibly cute. Do not be fooled by that big eyed, fluffy tailed exterior. We stopped for coffee and cake at the Istanbul Archaeological Museum. Everyone else was eating inside the cafe and we decided to make the most of the outside space and moved ourselves outside. We were joined at our table by a feral kitten who was incredibly sweet. The difficulty arose when the kittens family and friends decided to arrive like silent cake stealing ninjas. I am not easily parted from food, but the onslaught was such that we were forced to surrender our cake to very angry cats. 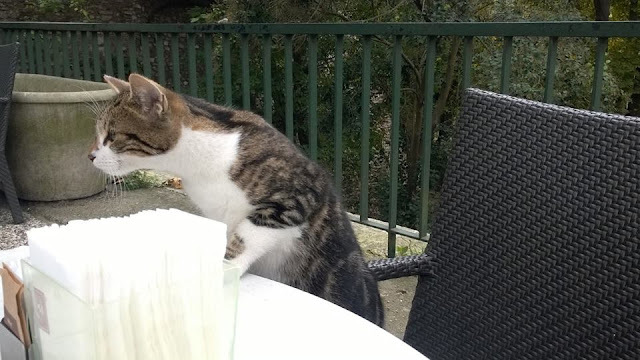 Even my Travelling Buddy, an avid fan of all things feline, abandoned his lunch after making a valiant effort to remove a cats face from his cake. We booked the most incredible looking romantic Riad for a stay in Marrakech. Then we discovered that there were two Riad's of the same name as we walked for 2 hours, lost and relying on Google maps. Know which Riad we found? Neither! We honeymooned in Thailand and were persuaded that the train from Bangkok to Chiang Mai would be incredibly romantic. 12 hours of scenic touring through the country side on a train, through forests and finally to Chiang Mai itself- that was the plan. The reality? We boarded the train to find that my Travelling Buddies seat back was broken. Every time he leaned against it the seat tried to fling him into the aisle. This meant 12 hours sitting bolt upright and unable to lean against the seat back. Whilst trying to remain cheerful about that slight set back, we were advised that the train was running late- a 12 hour trip turned into a 16 hour trip. For bonus romance points you can always try to wee on a moving train through a hole in the floor. It takes a level of skill, precision and good luck that can not be adequately described in words. 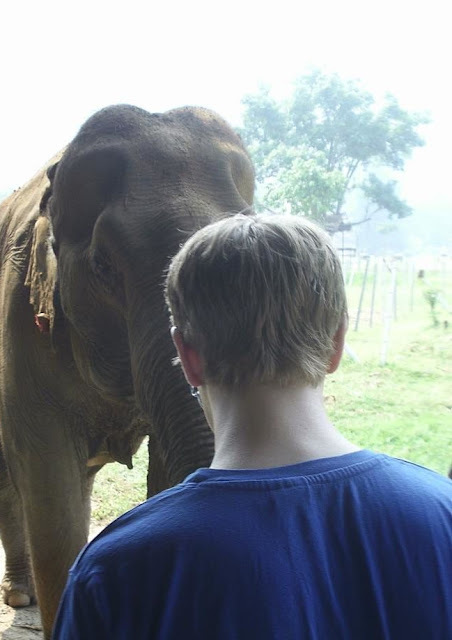 Our entire honeymoon was booked on the basis that we wanted to go to Elephant Nature Park and hang out with elephants. So you may be able to imagine my surprise when my Travelling Buddy told me, as our car pulled into Elephant Nature Park, that he does not like elephants! The whole situation is more complicated than just a dislike for elephants. I learnt at that point that my Travelling Buddy has a strictly enforced "Bigger Than Me Rule". The basis of this rule is very sensible- he would prefer not to be splattered by an animal that is bigger than him. The difficulty really arose when we were invited to feed the elephants and his approach was rather "over arm"- like a tennis serve, but with watermelon! My Travelling Buddy is usually so much more adventurous than me (he thinks jumping out of aeroplanes that have left the ground is fun!) 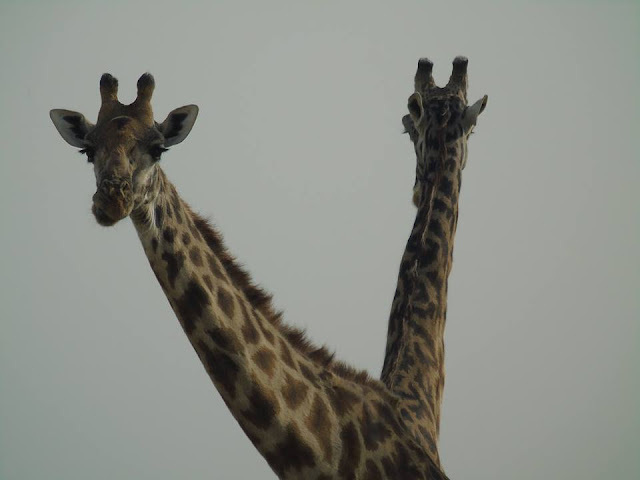 but the "Bigger Than Me Rule" raised its head again when we visited Giraffe Manor. I suspect between his perfectly reasonable position that he does not want to be flattened by wildlife, and my cowardice for heights and enclosed spaces, there are plenty more travel fails in us yet! We have been very fortunate that our fails have always been very minor, but I would love to hear from you if you have fails of your own to share! This made me laugh so much! Love a good fail (As mean as that sounds) reminds me that is not just us that are plagued by the epic fails! After months of persuasion I eventually got to go on a camel across the sahara desert - turns out I hated every moment and was so petrified haha!! Atleast it provides plenty laughter!! Ahh travel fails! Unavoidable but at least you get a cute blog post out of them ;) The riad in Morocco section made me laugh out loud. The medinas can be soooo hard to navigate. Where did you end up staying in the end? AHAHAAHAHAHHA I LOVE TRAVEL FAILS!! Thanks for all the laughs!